About: Constable may be getting up there in years, but that doesn’t stop him from keeping Proyecto Caraya’s staff and volunteers on their toes. Back when he was first rescued, Constable got really stressed out around humans. It’s no surprise-- men killed his mom and sold he and his siblings on the side of the road. He was kept in captivity for a few years before he was finally turned over to Proyecto Caraya; it is, after all, illegal to buy, sell, or own monkeys in Argentina. Luckily his rough start in the world hasn’t affected his attitude. 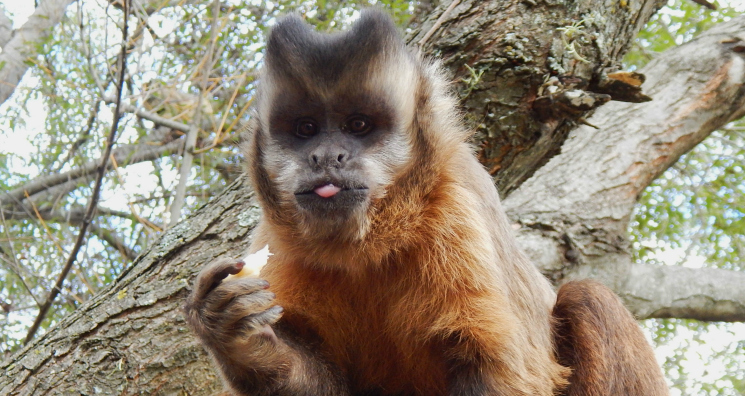 You can find Constable stealing food from other monkeys, teasing his friends, and blowing bubbles on his tongue.